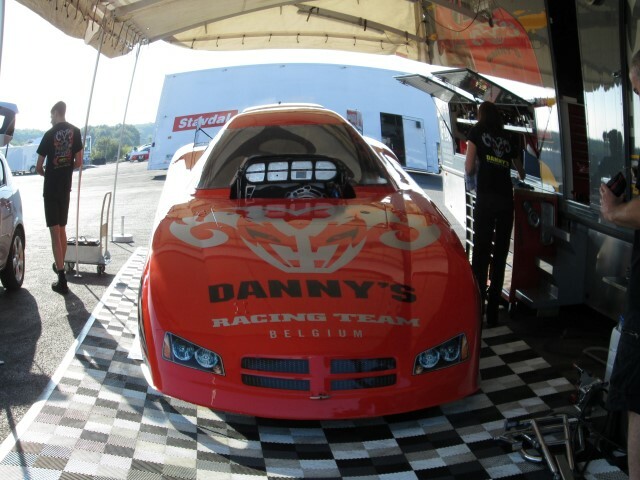 The last race of the season started for Danny’s Racing Team on Wednesday with some testing. We were able to make 4 runs during testday. As it seemed that the data from Tierp were not working at Santa Pod, we had to start from scratch. After 4 runs we at least had a starting point for the qualifications. Q1 on Friday was a 5.87 sec. The second pass a 5....78 sec. Starting to go in the right direction. Q3 was excellent for us. A new personal best 5.66 sec. And in the last qualifying run we again improved our personal best! 5.64 sec. and 412 km/u. That puts us in third position to start eliminations. But during the check-up after the run we discovered some issues with the crank. Unfortunately the crank seemed to be bent and the team decided not to take the risk of damaging the engine any further. This was certainly not the way we would have liked to end our season. But we are still very happy with the improvements we made so far and can hardly wait for next year. 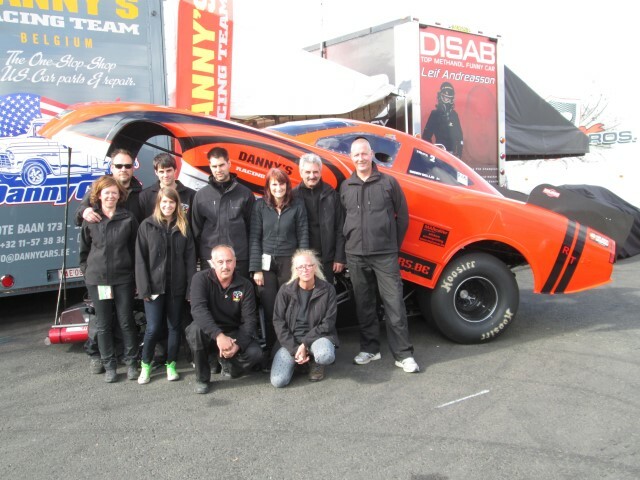 We would like to congratulate Jonnie Lindberg and his team with their new record and 2013 title. Many thanks to our sponsors and fans for their support.